The Geological Curators’ Group is dedicated to supporting the care, maintenance and use of geological collections. 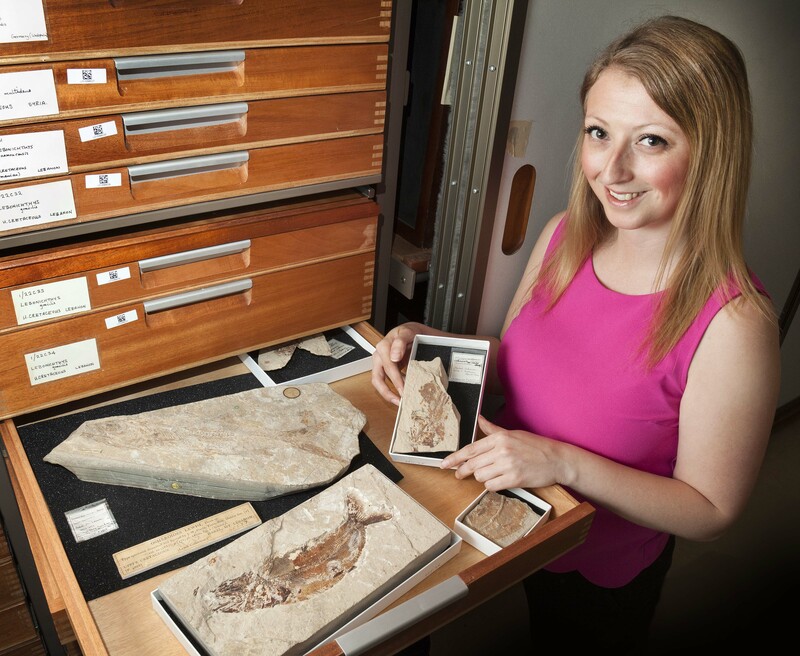 Written by Emma Bernard, Curator of Fossil Fish at the Natural History Museum, London. Hi, my name is Emma Bernard and I am an Ordinary Member on the Committee of the Geological Curators’ Group. When I am not working for the GCG, my day job is the Curator of Fossil Fish at the Natural History Museum in London. Selfie with a bull shark jaw! © Emma Bernard. I have been on the GCG committee for about five years. I wanted to join in order to help make a difference in the field of preserving and curating geology collections, as well as in trying to open up the GCG to a wider audience. Initially I started as a bridge between the GCG and NatSCA (the Natural Sciences Collections Association), which meant sitting on both committees. My role was to feedback from one to the other, and ensure that both Subject Specialist Network groups worked together in areas where there was natural cross over, the most obvious areas being practices in the curation of geological collections and organising joint meetings (like our first joint meeting of Hazards in Museum Geological Collections). Also as part of this role, I helped to set up the Memorandum of Understanding between GCG, NatSCA and SPNHC (Society for the Preservation of Natural History). 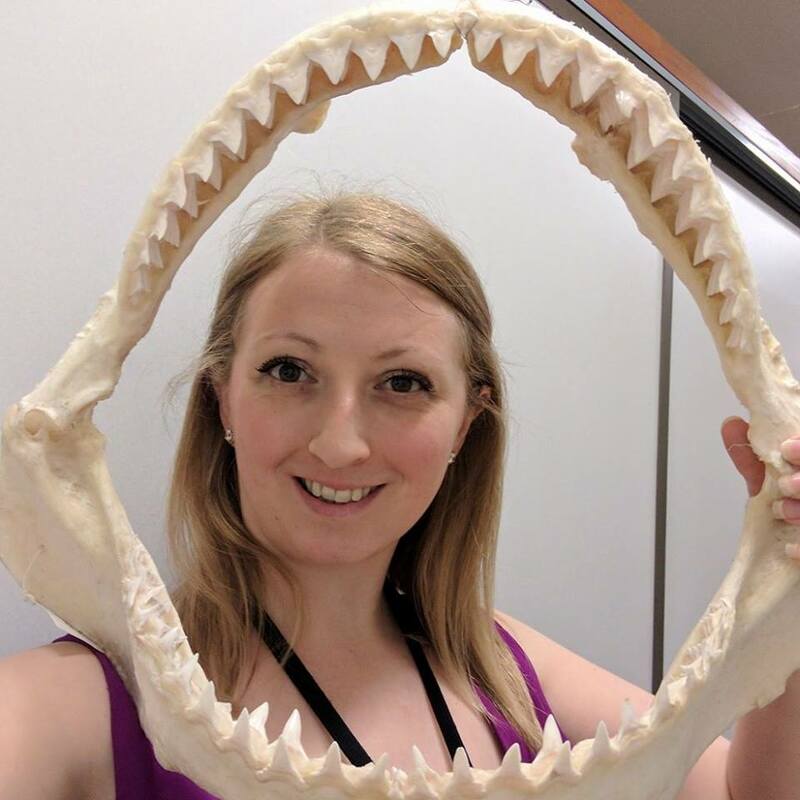 My day job as Curator of Fossil Fish at the Natural History Museum is obviously more focused on palaeontology than natural history, so after a few years, I thought it was better that someone else took on the role of NatSCA Rep and so I, sadly, stood down from the NatSCA Committee. Fortunately I had a fantastic successor to whom I could pass the reins; Isla Gladstone; Senior Curator of Natural Sciences, Bristol Museum & Art Gallery. Although I had taken the decision to leave the NatSCA Committee, I was keen to remain on the GCG Committee as I knew I had a lot more to give and felt GCG was much more relevant to my skill set (BSc Honours in Geology, MSc in Palaeobiology, and MSc in Museum Studies). There was definitely more I still wanted to achieve with the group. Subsequently my role at GCG evolved, and I became the person responsible for setting up, and then helping to maintain and populate, GCG’s social media platforms (specifically Facebook and Twitter). Some beautiful fossil fish! © Emma Bernard. As part of a working group on the committee, I also collaboratively wrote the GCG Social Media Policy and Events Policy for meetings and conferences. Our aim was to provide a guide to what these platforms are for, i.e. the coming together of like-minded people to share our knowledge and love of all things geological. With that in mind, we are always happy to share and link relevant content on these platforms, so do let us know if you have anything you wish us to include or advertise. It is a perfect platform for disseminating information within the sector, advertising jobs, new exhibitions, or research. You can get in touch with me, Emma Bernard, using the following email; ordinarymembers@geocurator.org. For longer content, you can submit articles to Emma Nicholls (it’s confusing having two Emmas! ), who is Editor of the Blog; blog@geocurator.org. I really enjoy being on the Committee. We meet 3 to 4 times a year to discuss recent events and news in geology and palaeontology, and to talk about and plan the coming months and years for GCG. 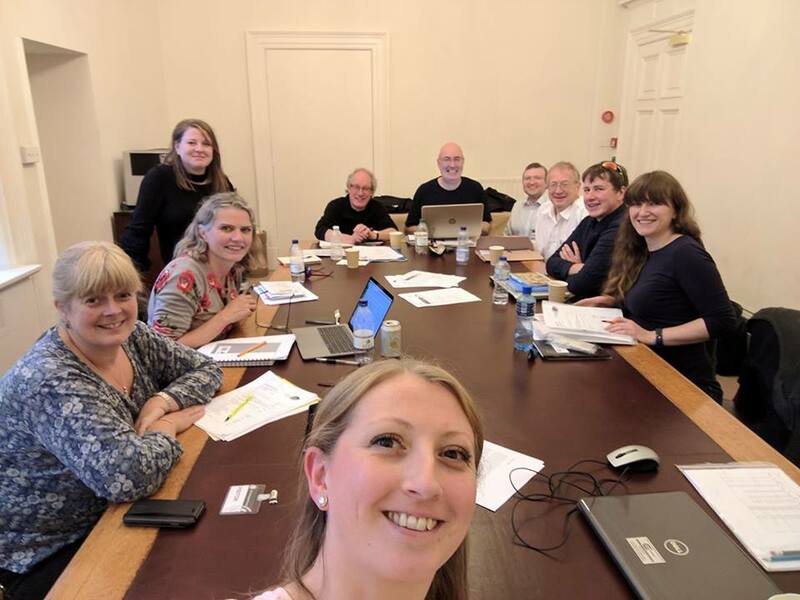 It is also a really great opportunity to catch up with the other committee members who are all colleagues in the sector, and who otherwise work all across the country, in order to hear about their collections and other work happening in the sector outside my own area. I think it helps me keep up to date and relevant in my day job by understanding the broader geological landscape and I can share my knowledge and expertise of having worked at both regional and national museums. I’m the one who is always keen to take a #selfie at meetings! © Emma Bernard.